Reince Priebus GONE: John F. Kelly New Chief of Staff. Reince Priebus is out as White House Chief of Staff. As we have written extensively over the past few days, Priebus has been on the ropes. Reince Priebus: Is Trump Chief of Staff the Leaker? If President Trump is going to drain the swamp, he must begin with some around him. He may have needed a few Republican insiders to help with the transition. But now it&apos;s time to hit the eject button. Recall a while back that Reince Priebus&apos; Chief of Staff was outed as one of the White House leakers. Walsh has infamously loose lips. As we previously reported, Walsh is the suspected White House leaker. "Everyone knows not to talk to her in the White House unless you want to see it in the press," says a source close to the president. "The only question is whether or not she&apos;s doing it at the behest of [White House Chief of Staff] Reince Priebus or if she&apos;s doing it to advance herself in DC media circles." One source in particular stands out: Walsh is close to Maggie Habberman, a New York Times reporter who wrote fawning pro-Republican National Committee stories during the presidential election. Walsh has also planted stories in The Washington Post and Politico. Walsh is set to join America First Policies. The political group is comprised of Trump campaign veterans, but struggles to engage in its key goal: to "boost the White House in its biggest policy fights." Well, the apple didn&apos;t fall too far from the political tree. And as some people believe, Priebus will soon hit the road. ABC News reported on what they called a "feud" inside the White House. The simmering tensions between different factions within the White House reached a very public boil in recent days. 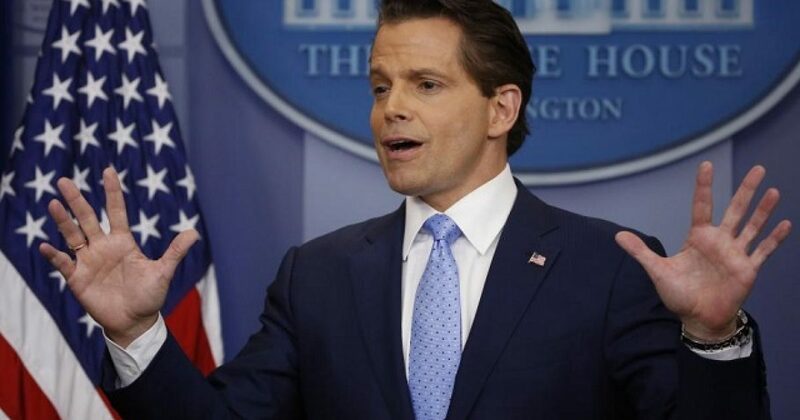 The foul-mouthed exchange that communications director Anthony Scaramucci had with a reporter for The New Yorker put the acrimony on full display, giving the public a clear view into the personnel turbulence. Scaramucci took aim at both Chief of Staff Reince Priebus and Chief Strategist Steve Bannon, but the criticisms of Priebus struck a stronger chord because they came after Scaramucci posted a cryptic tweet Wednesday that he later deleted, which many took as him calling for Priebus to be investigated as a leaker. Trump chooses General John F. Kelly, Director of Homeland Security, as a man he can trust. General John F. Kelly has never held an elected office and is no "Career Politician". He started as a Merchant Marine at the age of 16 and has served this country ever since. The General currently serves as Director of Homeland Security where he has proven extremely effective and efficient by reducing BORDER CROSSINGS BY 78%! As a soldier, the General served 3 tours in Iraq and has many decorated honors. As the General assumes his position as Chief of Staff, Elaine Duke will serve as acting Director of Homeland Sercurity. She is currently the Deputy Director and was appointed by Trump on Jan 30th, 2017.